Welcome to the sublime pleasures of Hotel Liakoto which – along with its sister-hotel, Anniska – sits in a prime seafront location in the village of Kardamili, Greece, famous for its stunning beauty. The hotel is family-run and the Paliatseas family provide an attentive yet unobtrusive hospitality that will make your stay pleasurable and relaxing. 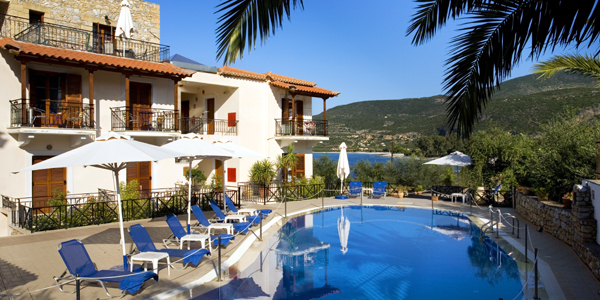 Built in a traditional style, Liakoto has a magnificent 19m swimming pool and views looking out onto the Messinian Bay and Taygetos mountains. The hotel has a range of studios and one or two-bedroom apartments, all with either absolute seafront views or sea and mountain views. Liakoto is centrally located next to Kardamili's many shops, tavernas and cafés.